The use of armed drones to launch lethal strikes around the globe is rapidly becoming normalised. Despite widespread ethical, political and legal misgivings and the danger to global peace and security from the precedent that such strikes set, US, British and Israeli drones carried out numerous strikes in the first few weeks of 2015. Pictures of an apparent Chinese armed drone that had crashed in Nigeria also surfaced in a worrying sign of the further spread of such systems. In Somalia two separate strikes on the same day (31 Jan) killed dozens of people. In the first, a strike on an alleged Al-shabaab training camp in Lower Shabelle killed over 40 people, while a separate strike elsewhere in Somalia targeted Yusef Dheeq, described by the US as Al-shabaab’s head of external operations. In a press briefing a few days later Pentagon spokesperson Admiral John Kirby confirmed it had been a US drone strike but could not confirm at the time that Dheeq had been killed. “If he no longer breathes, then this is another significant blow to al-Shabaab …” Kirby said. The Pentagon subsequently confirmed Dheeq’s death, along with “an associate”. Four civilians were also reported to have killed in the strike although the US insists that according to its assessment no civilians or bystanders were killed. This latest targeted killing by the US in Somalia comes almost exactly one month after another senior Al-shabaab leader was targeted by a US drone at the end of December. As Bureau of Investigative Journalism’s Jack Searle has written recently, this seems to indicate a change in tactic in US operations in Somalia away from manned aircraft towards greater use of armed drones. This assessment has been confirmed by Somalia Intelligence chief General Abdulrahma Turyare who stated that US drone strikes targeting Al Shabaab in central Somalia would be intensified. Meanwhile US drone strikes continue in Yemen despite the recent (and ongoing) coup. Houthi rebels have been protesting in the capital Sana’a since September but escalated their action dramatically in January leading to the resignation of President Hadi and political chaos. It was suggested that US counterterrorism operations In Yemen including drone strikes were likely to be suspended but Pentagon officials strongly denied this and a strike took place almost immediately as if to prove such operations were continuing. The strike resulted in the deaths of three people – two reported members of Al Qaeda and Mohammed Taeiman al Jahmi, a boy aged between 12 and 15, whose father and brother had been killed in a previous drone strike in 2011. The Guardian, who had given the boy a camera to record his life after the first strike, released a remarkable video with Taeiman speaking about his life. At least two other US drone strikes have occurred in Yemen, one on Feb 2 killed four people and one on Feb 10. US authorities insist that drone strikes inside Yemen are legal as they have been authorised by the Yemen government. It is hard to understand how these latest strikes can have been approved however as there is no Yemeni government. 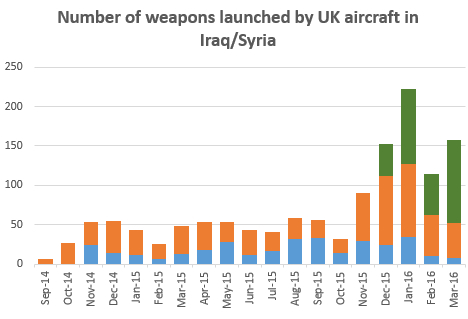 Freelance reporter Chris Woods who has been carefully monitoring the air war against ISIS in Iraq and Syria reports that January saw the heaviest month yet of allied airstrikes with US and UK drones as well as manned aircraft from several countries undertaking multiple strikes. In January the US shifted its position after months of denying any civilians casualties from air strikes and says it is now conducting formal investigations into credible civilian casualty reports in Iraq and Syria. 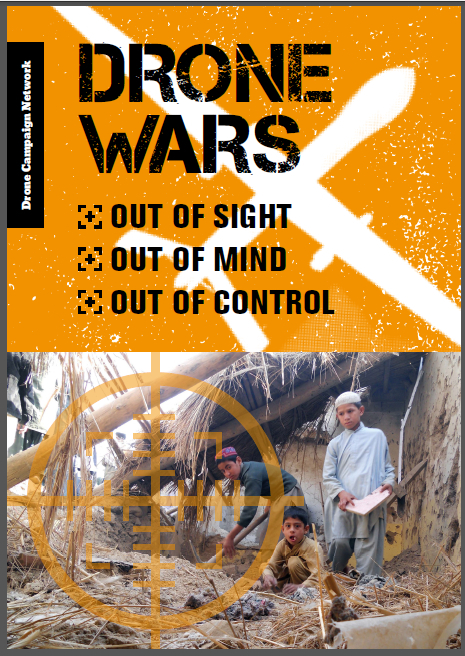 US drone strikes have also continued in Afghanistan despite the US formally saying the war is over. One strike on Feb 9 targeted Abdul Rauf a former member of the Taliban who had sworn allegiance to ISIS. Rauf was killed along with an unknown number of other people. A separate US drone strike in Afghanistan’s Nangarhar province on Feb 11 killed nine “suspected militants”. US drone strikes also continue in Pakistan. According to the Bureau of investigative Journalism (TBIJ) there have been five such strikes in the country since the beginning of the year with between 26 and 38 people killed, many of them unknown. In January Israeli human rights group B’Tselem issued a report questioning the legality of Israel’s policy of air strikes by drones and other military aircraft on Palestinian homes during last summer’s war in Gaza – a strategy that led to hundreds of civilian deaths. According to the report the policy led to the deaths of 606 people in 70 attacks on homes that it examined. Among the dead were 93 children under the age of five. The increase in drone flights however is having a real impact on drone pilots and there have been reports, as The Times put it rather memorably, of drone pilots bailing out. The Pentagon is considering retention payments of around $25,000 to encourage drone pilots to stay on. It is not just the US that is increasing funding for drones. Defence Minister Philip Dunne told Parliament on 12 January that UK “investment” in drones in the current financial year had reached almost a quarter of billion pounds. With more than £2bn already spent by the UK on drones and with the UK signalling its intention to fund further drone projects this figure is only likely to increase. Other European countries too are procuring drones with both the Netherlands and France signalling in January the purchase (or additional purchase) of US Reaper drones. Military officers from the US, UK, France and Italy met in Paris in January for the first meeting of the NATO Reaper User Group. The working group, established at the NATO meeting in Wales last year is aimed at working out how to pool training, logistics and defray operational costs. Remote, ‘risk free’ war using drones and special forces is the shiny new model for political leaders wanting to be seen to be doing something about global security without engaging in the tricky, long-term business of real political change. With little impact on the public back home and barely a mention in national media, countries can now engage in almost permanent war. Yet as is becoming increasingly apparent, such warfare does have a heavy cost, primarily to those on the ground where the war is taking place, but also through the sporadic but increasingly violent episodes dubbed ‘blowback’ (such as recently occurred in Paris) as Chris Abbott of the Remote Control Project details. In this snapshot of the first six weeks of 2015 we have seen numerous drone strikes in Africa, the Middle East and South-East Asia along with ‘blowback’ terrorist attacks in mainland Europe. 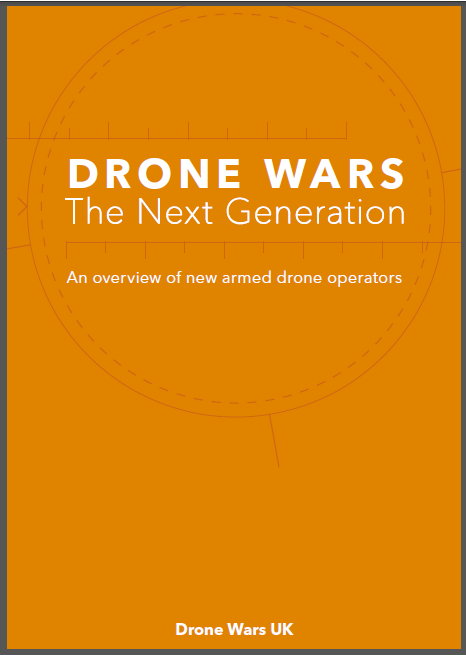 Drones are ushering in the age of permanent war and unless there is serious, international political movement to challenge it, it is likely that this is only just the beginning.